Bethlehem of Galilee is located on the western fringes of the Jezreel Valley, on the southern border of the low chalk hills of Alonim-Shefar‘am, which rise about 120 m above sea level. An Arab village (Beit Laḥm) was situated on a low mound on the site, alongside a Templer settlement that was founded at the beginning of the twentieth century and abandoned in 1948. Some of the buildings of the present-day moshav of Beit Leḥem ha-Glilit, including the school, were erected in the center of the mound. The site is first mentioned in the description of the cities of the tribe of Zebulun ( Jos. 19:19 ). In the third century it is referred to by Eusebius (as Bethleem of the tribe of Zabulon). During the period of the Mishnah and Talmud, Bethlehem of Galilee was called Beth Leḥem Ẓuriya or Ẓruya, to differentiate it from Bethlehem of Judah. 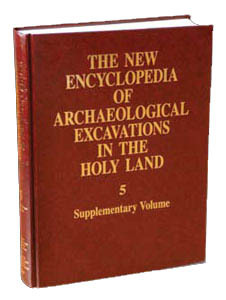 Beth Leḥem Ẓuriya appears in the Jerusalem Talmud, while in the Mishnah, the site is said to have been the home of the priestly division of Malkiya after the destruction of the Temple.